We're only a few weeks into the 2018 Major League Baseball season, but our hometown Tampa Bay Rays are already struggling for all of the reasons we predicted in our season preview. Despite the team's struggles, they are still going to be involved in one of the most exciting division races of the season…they just won't be competing to win. 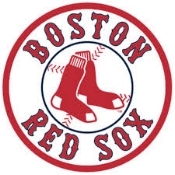 As the summer progresses, the New York Yankees and Boston Red Sox are going to be firing hard at each other for the top spot. While the Yankees probably have the better team overall, the Red Sox jumped out to a quick lead after their hot start this month. As these elite teams compete for the 2018 American League East pennant, each of them will make multiple trips down to Tampa to take on the Rays. The Citrus Hills Vacationers Club has already put together plans to attend four of those games over the next few months. Let's take a quick look at what we might expect to see each time one of the top two teams in the division comes to town! The first club trip down to Tropicana Field will be held on Thursday, May 24 for the last game in a series of three that will start earlier that week. isn't pitching, and we can also expect to see some exciting offense anytime a lineup that features studs like Mookie Betts and J.D. Martinez comes to town. 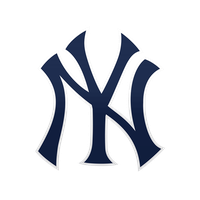 The New York Yankees will make their first trip to Tampa in the middle of June, and there is a good chance that they will have caught up to the Red Sox in the division race by then. With power hitters like Giancarlo Stanton, Aaron Judge, and Gary Sanchez hitting in the heart of the lineup, referring to the Yankees as the Bronx Bombers is going to be very appropriate this season. This is also a free jersey giveaway game where everyone in attendance will receive a Rays/Devil Rays reversible jersey! The Red Sox will be back in town for an early afternoon game on Sunday, August 26. And if we know the Red Sox, there will likely be some trade deadline additions to their team this time around. Depending on where they are sitting relative to the Yankees and who becomes available at the deadline, there could be some real excitement to see in this series. Sundays are kid’s days at the Trop, so the promotional calendar will feature DJ Kitty Slippers for all kids attending. Before closing out their season with a home series against the Toronto Blue Jays, the Rays will host the New York Yankees once last time in a weekday series that could see them clinching the AL East pennant on any given day. This could be a chance to see the dramatic conclusion of an epic pennant race, and it could happen right here in sunny Florida! Each of these Citrus Hills Vacationers Club trips to see the Tampa Bay Rays includes a ticket to the game in a group section, roundtrip transportation, and a free Rays hat. Make sure that you call the Activity Center to reserve your spot for one or all of these trips soon!